It’s that time of year. The hours of daylight are getting shorter. The holidays are approaching. One thing is certain. You will be using your indoor and outdoor lighting for longer periods in the day. Over the next several weeks, we’ll be blogging all topics related to lighting, offering, among other things, tips on choosing light bulbs, light fixtures, and economical ways to decorate your house during the holidays. Choosing light bulbs can be complex. Each has its pros and cons. Some work better in certain spaces of a home. The different technologies have a wide range of expense and significantly varying average rated lives. Below is a primer on the different types, their differences, and where you can use them in your home. Just a few years ago, incandescent light bulbs were omnipresent in American homes, used in lamps, ceiling lights, and just about everywhere a light bulb would be needed, including the old “Easy Bake Oven” of old. Relatively inexpensive, they produce light with a filament wire, which is heated to high temperatures by an electric current until it glows. 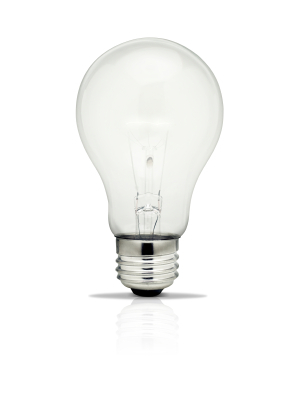 Incandescent bulbs typically last between 700 to 1,000 hours and are manufactured in a wide range of sizes, light output, and voltage, from 1.5 volts to about 300 volts. 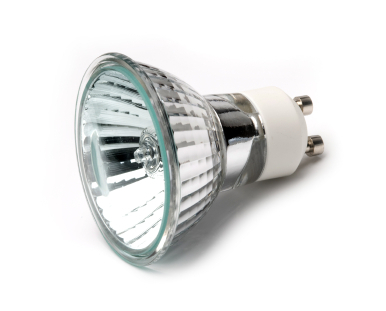 Because of their inefficiency, other types are beginning to replace the old incandescent variety, including…. These bulbs are a variation of incandescent, but are 25 percent more efficient and can last up to three times longer than incandescent bulbs. That’s because these energy-efficient models house a capsule that holds gas around the filament to increase efficiency. They give the closest approximation of daylight, and are most commonly used in under-cabinet lighting, pendant lights, and recessed cans. They are available in a wide range of shapes and colors, and can be used in dimmers. 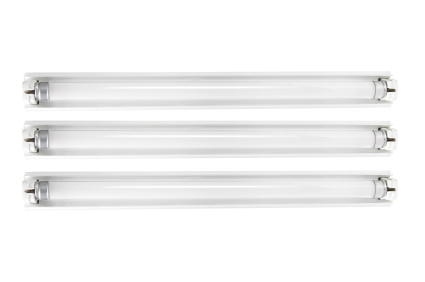 Fluorescent light bulbs are long glass tubes that use electricity to excite mercury vapor. Simply explained, the excited mercury atoms produce short-wave ultraviolet light that then causes the phosphor powder coated along the inside of the glass to fluoresce, producing visible light that appears bluish in color. 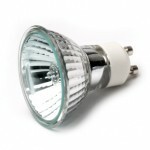 While larger fluorescent lamps are used mostly in commercial or institutional buildings, people do use them in kitchens, basements, garages, and attics. They are significantly more efficient than incandescent lights. 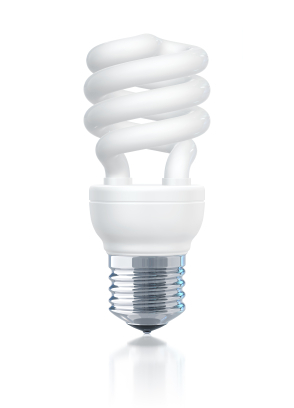 CFLs are simply curly versions of long-tube fluorescent lights discussed above. 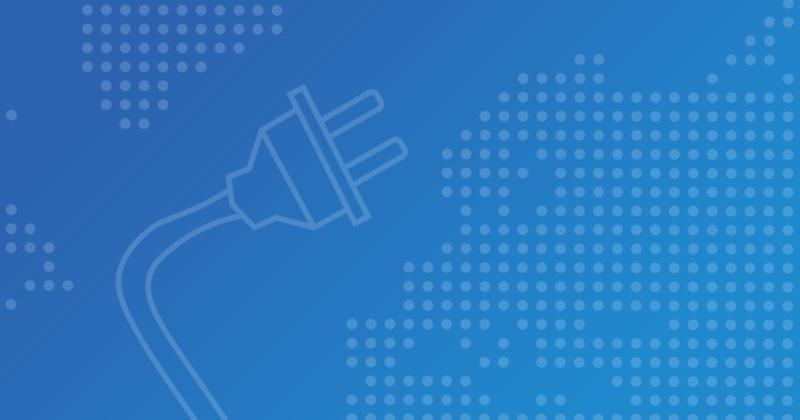 Because they consume a quarter of the energy and last 10 times longer than incandescent bulbs, they more than make up for the additional purchase price. Another advantage is that they, unlike fluorescent tubes, are quiet, turn on instantly, and have warmer, color-corrected tones, making them ideal for any fixture that used an incandescent bulb. However, these bulbs contain a small amount of mercury. You should take care to prevent breakage. Also, you should be aware that these lamps will prematurely burn out if not applied in the proper location. Higher wattage CFLs are not usually rated for enclosed fixtures; when they burn out, you should recycle them. The light-emitting diode is a new type of solid-state lighting that uses only 20-25 percent of the energy and lasts up to 25 times longer than traditional incandescent bulbs they replace. Although once used almost exclusively in traffic lights, digital clocks, light-up watches, and other low wattage applications, the technology is now evolving and is currently available in 40W, 60W, and 75W incandescent equivalent bulbs. 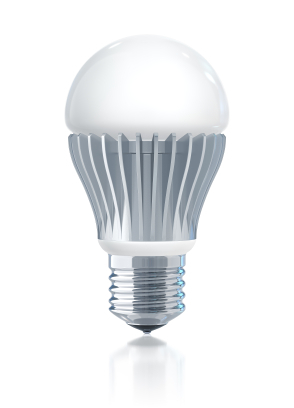 According to the Department of Energy, the rapid adoption of LED lighting could save $265 billion in savings by 2027. Even though the LED option may be the highest initial expense, the efficiency of the system and length of life may be attractive to the progressive home owner. One last note, you may find the “Light Bulb Finder” a useful mobile phone app when buying energy-efficient bulbs. Available at http://www.lightbulbfinder.net, it’s free and chock full of helpful information.